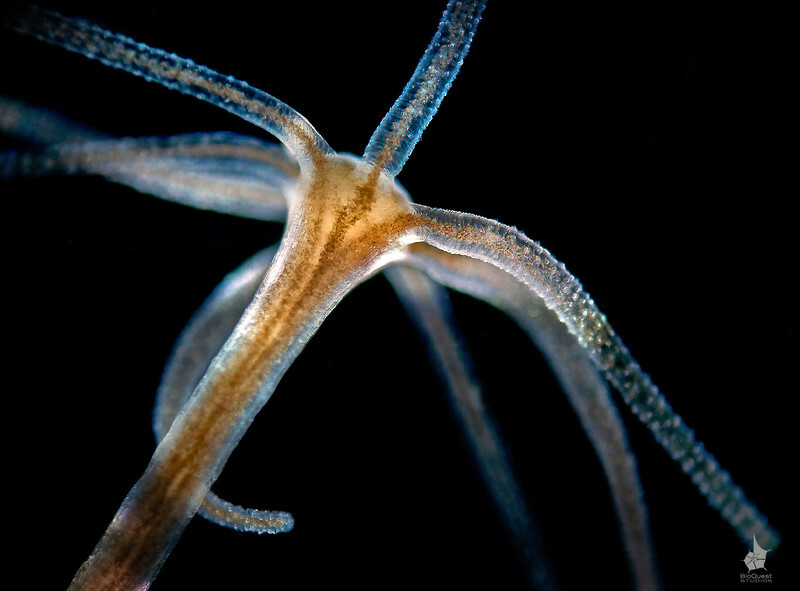 Hydra sp. - a freshwater cnidarian. A very common animal in lakes and ponds. It captures small invertebrates such as water fleas. Single shot taken with an electronic flash.